So this weekend me and the husband were away at a wedding. Kid free!!!. The couple had already gotten married earlier in the week and they wanted to celebrate with an intimate Promise Wedding. It was very sweet. It was a lovely wedding ceremony in the countryside. Husband did some DJing, I took some photos. And it was just lovely to spend some time together. Which is hard with work, kids and all the other everyday stuff that takes over our lives. We stayed in a quirky B&B in a small village. One of my favourite things in staying away is always the breakfast! After breakfast we went for a walk around the village and came across a junk shop. So I had a great rummage through there. Found a few things for my niece's 18th birthday Mad Hatters Tea party. When it was time to come home, we were missing the boys terribly. I couldn't wait to get home to see their little faces and to cuddle them. We had a great 2 days away from everyday life but there is no place like home. What did you do for your No Technology Sunday? No Technology Sunday is a Photo Linky about spending time away from technology It doesn't have to be a Sunday. It can be any day or days. You can be as strict or flexible as you like. Maybe a day without TV or an afternoon not using your phone, crafts, or cooking.... Just as long as you are enjoying time with friends and loved ones. Or even just you having some "me" time. 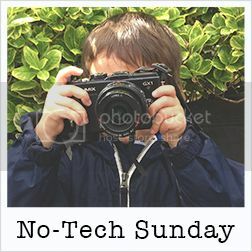 It would be great to see how you spend your day(s) on No-Tech Sunday! 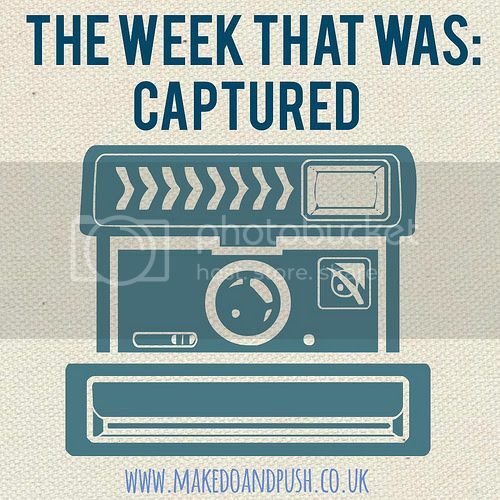 Each week I will put up a new linky for you to join. Be sure to paste the badge below on your post.